A roundup of the week’s tech news including Social Network Taxidermy M&A News and more. After all the hype, and ultimate decline, Google Glass is being retired for now. 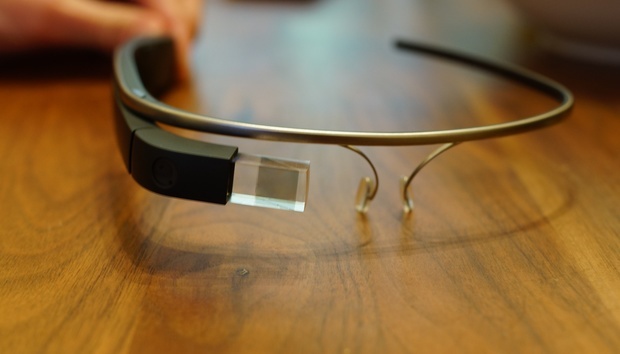 The smart glass’s Explorer program is being closed and you won’t be able to buy the device after next week. The project will move from the Google X labs to a new division helmed by current manager Ivy Ross but ultimately answering to Nests’ Tony Fadell, but there’s no word on when Glass will resurface or in what form. My advice would be to stick with cardboard and see where that goes first. As one door closes, another opens. Google’s equally-hyped but yet to be loathed modular phone concept Project Ara is to be given a trial run in Puerto Rico later this year. The details were revealed at the second Project Ara Developer Conference this week; the company said it would sell the phone’s 20-30 modules through a roaming "food-truck" style van. It’s not just Project Ara that’s being piloted. “Facebook at Work” – the social network’s attempt at breaking into the business market - is reportedly being launched with a few test companies. No word of whether enterprises have demanded the return of Sheep Throwing. After a long, long wait, Samsung has finally released a phone bearing the company’s own Tizen OS. The $92 Z1 launched in India this week but, according to TechCrunch, reports that Android apps would work with Tizen were wide of the mark. A blog from the company outlining future plans for the OS point to a heavy Internet of Things-based bias. Also announced this week was Fujitsu’s prototype Bluetooth ring. Apparently this bit of wearable tech allows users to write Japanese characters, Latin letters or numbers in midair. One security expert accused Cameron of “living in cloud cuckoo land” and questioned how he would implement such an idea, while leader of Pirate Party UK Loz Kaye said the PM had “exploited a tragedy to push for further surveillance powers and undermine our freedoms,” and that his idea was “disastrous and ignorant.” Cameron was even planning to ask President Obama to take similar steps, but instead had to settle for cyber war games instead. Still sounds like a bad idea though. - The boss of MI5 basically agrees with David Cameron. - The NSA is sorry for recommending insecure cryptography tools. - The Director of the NSA is keen to catch whoever hacked Sony. - The FBI has access to all the NSA’s collected data. If you’re a young and rich tech billionaire, high five bro! According to Quartz, if you make Forbes tech 30 Under 30 list, you are almost guaranteed to be a white male. But you’re probably ok with that, since you’re a billionaire. Plenty of money changing hands this week. Teradata has bought Appoxee, Symantec has acqui-hired Boeing subsidiary Narus, Citrix has acquired storage company Sanbolic, Elsevier now owns media app Newsflo and Capital One has snapped up Level Money. All sorts of rumours have been flying around this week. Former interim CEO of Yahoo!, Ross Levinsohn, sparked rumours after suggesting Yahoo! should buy Twitter; Twitter itself is reported to be looking at acquiring Indian mobile app ZipDial. But the big one this week was the potential take of BlackBerry by Samsung. The Korean giant was reported to be offering around $7.5 billion, but BlackBerry rubbished the report, saying it had “not engaged in discussions with Samsung” about any offer. UK MP Alan Duncan is a man easily annoyed it seems. The Conservative politician has put forward a bill banning public bodies from including legal disclaimers at the bottom of emails. "A short email comes in from a friend, colleague or company and we hit print and then we look in horror as page after page spews out." He said, adding that Tim Berners-Lee’s “moment of innovative genius should not be allowed to be tarnished by the very worst of sluggish, bureaucratic verbiage that is represented by the e-mail disclaimer." One Google security worker has decided to start a spat with WhiteHat Security's open-source Aviator browser over various security problems. Google’s Justin Schuh posted a blog titled "You probably shouldn't be using the WhiteHat Aviator browser if you're concerned about security and privacy." WhiteHat didn’t seem to take the news well and posted a rebuttal, saying the company can’t release updates as fast as the search giant and took pot shots at Chrome and Chromium. Linux kernel creator Linus Torvalds had some interesting Soundbites for listeners while speaking at the Linux.conf.au Conference in New Zealand this week. “Some people think I'm nice and are shocked when they find out different,” he said. “I'm not a nice person, and I don't care about you. I care about the technology and the kernel—that's what's important to me.” Dedication. Facebook CEO Mark Zuckerberg this week took part in his third ‘community hall’ Q&A session, this time in Bogotá, Colombia. As well as announcing that his Internet.org project was coming to Colombia, Mr. Facebook called today’s wearables “weird” and he’s a fan of Shakira. Can a social network ever be left in peace? Bebo has returned from the grave, and it seems MySpace refuses to kick the bucket. According to an article from the WSJ, the 12 year old social network still gets 50 million visitors each month and saw a 575% rise in traffic last November compared to the year before. According to the post, Thursdays are popular, as people visit the site to collect embarrassing pictures for “Throwback Thursday.” Let it die, guys. Despite its value dropping to pre-2013 bubble levels this week, Bitcoin is still stirring interest in the press and academic quarters. Academic papers on Bitcoins and cryptocurrencies tripled in 2014, according to one BTC aficionado who looked into the numbers behind the literature. Finally, what if every shop asked for the same permissions as your apps do? That’s the subject of a nifty little video from the Danish Consumer Council explores. Unsuspecting shoppers in a bakery are asked a barrage of questions such as, “Can I have your phone number and email address?”, “Where were you at 8pm last night?” and “Can I see your last five texts?” before being followed out of the shop. Obviously the customers are a bit bemused but it brings home the issue of over-reaching apps.